Sat. #1 is HERE. Please follow us on Tumblr or Twitter, subscribe to us on YouTube or like us on Facebook. With the cheap plugs out of the way here's Saturday's latest wrestling news. The YouTube subpocalypse is for real and my YouTube channel could use your support. I need 1,000 subscribers to survive and it's at 666 subscribers right now, an increase from when the bad news broke, but I still need 334 more. While the revenue generated is small compared to a Game Grumps or a NoDQ it's still very much necessary to keep our operation running. Please subscribe to Mistah MegaManFan and help me out! 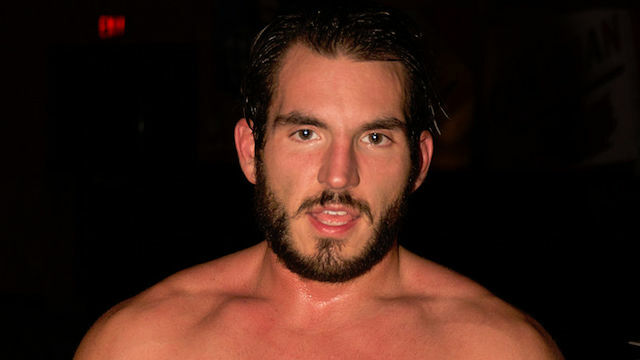 Here Johnny Gargano talks about his last match with Tommaso Ciampa: "It was a really different atmosphere than any match I've ever been a part of. The crowd was so rowdy, but at certain points they were just watching. I can attribute it to being like watching a movie. At points things get somber, things get sad. At points you get excited, you get rowdy, you get crazy. You don't get that very often in professional wrestling. Most of the time it's like oh, we're going to make noise, we're going to chant and do things like that. And I think that speaks volumes to how deep this story goes, and how emotionally connected people are to me and to Tommaso, and just everything we stand for, and the history." New WWE related videos are available below including Ronda Rousey and Triple H announcing that they'll be at a stadium show in Melbourne, Australia in a venue that has a capacity of over 100,000 people on October 6th. Wow, house shows aren't drawing. That said, TNA ran TV here about 4 years ago and didn't draw this many fans. Kurt Angle is on the Tron welcoming us to tonight's event. *RAW Tag Team Titles: Matt Hardy & Bray Wyatt defeated The Revival when Bray/Matt hit their finish. Good opener. Chad Gable, Zack Ryder & Goldust defeated Mike Kanellis, Curt Hawkins & Mojo Rawley when Ryder hits the Ruff Ryder on Hawkins. Wow Chad Gable can go. Goldust with the biggest pop of the night so far. The Authors of Pain defeated Heath Slater & Rhyno with their finish. The spotlight hits, the strum of the guitar sounds throughout the arena and it's time for a tune. Elias has one question. Elias owns the crowd. Great tune about how he wants to punch everyone in Peoria in the face. BURN IT DOWN!!! Seth Rollins comes out to the biggest pop of the night so far. Intercontinental Championship: Seth Rollins defeated Elias with the curb stomp. Drew McIntyre & Dolph Zigler d Breezango with their finish. Dolph is doing all the comedy bits with Breezango while Drew stands on the apron, perhaps re-thinking his latest career decision. Drew really didn't do much in this match, probably for the best. Bobby Roode defeated Baron Corbin with the Glorious DDT. Finn Balor & Roman Reigns & Bobby Lashley defeated Kevin Owens & Samy Zayn & Jinder Mahal when Lashley hits the delayed suplex on Zayn, Balor hits his finish on Owens and Reigns hits the Spear on Jinder for the pin. Rob Van Dam will be at Northeast Wrestling on July 14th. 5:00 PM ET. Tweets and videos above have been updated. In addition a new Impact Wrestling video is below. In this interview Cody Rhodes reveals his top 5 wrestlers in the world: "In the modern era of reality is reality versus perception is reality, it's simple. I am the best in the world. It's 1: Cody; 2: Kenny Omega; 3: Kazuchika Okada; 4: Charlotte; 5: John Cena, with Will Ospreay creeping up on the list. It's my responsibility with the event to live up to that ranking. I am unbelievably good at this, because of hard work and dedication."